During college, I would spend my summers working in D.C. I made my land lady some spring rolls one day and in exchange she asked me what I wanted her to make me. She handed me this cook book and told me to thumb through the pages and see what I wanted to learn how to make. Back in the day, I had never followed a recipe before (other than following directions on the back of a box). I never baked anything from scratch following a recipe. Crazy as it sounds, I learned everything from my mother who cooked by taste. 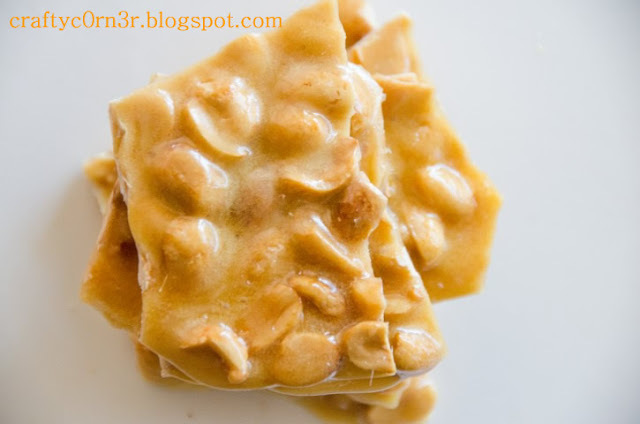 She was great at cooking, but she really never made any sweets or baked anything so one of the things I asked her to teach me was how to make peanut brittle. 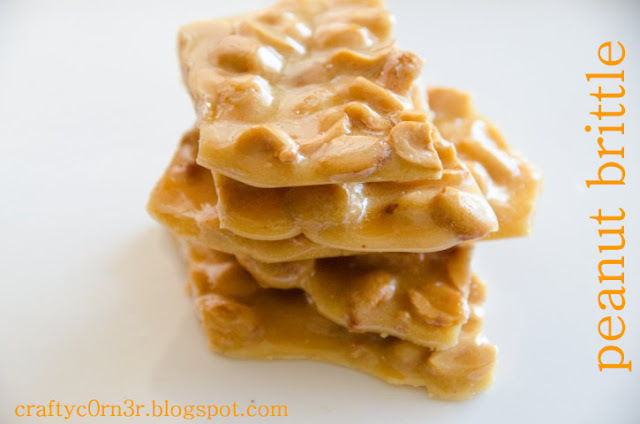 I LOVE peanut brittle. I probably could eat a pound of it without even blinking, but I don't make it very often because R. is allergic to peanuts. 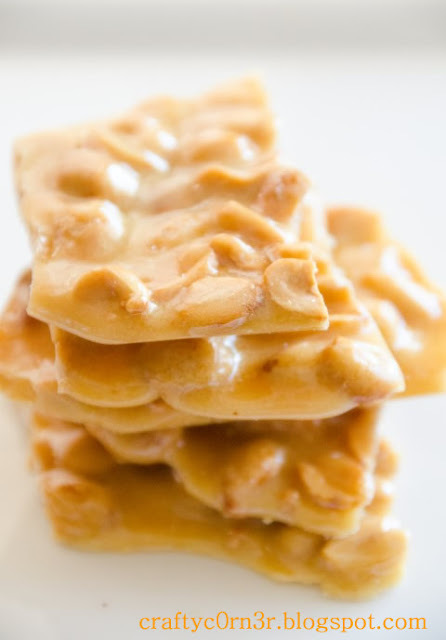 This year, I decided to include peanut brittle in my goodie box I was handing out. The recipe is from the Betty Crocker cook book. I received this cookbook from my landlady when I moved out. Even though its now 15 years old and filled with flour, sugar, drops of oil, chocolate splatters, fingerprints, and sticky pages, it was my very first cook book and a gift. That in itself makes me cherish it. Grease 2 cookie sheets with butter. Mix baking soda, 1 tsp water and vanilla and set aside. 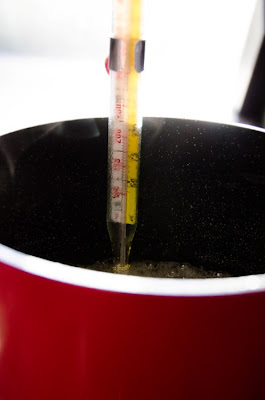 Mix sugar, 1 cup water, and the corn syrup in 3 quart saucepan. 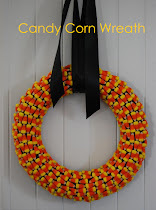 Cook over medium heat, about 25 minutes, stirring occasionally, to 240 degrees on candy thermometer. 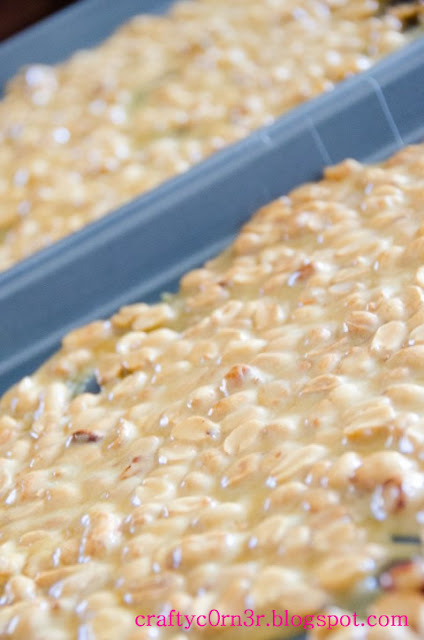 Stir in butter and peanuts. Cook, about 15 minutes, stirring constantly, to 300 degrees. Watch carefully so mixture does not burn. Immediately remove from heat. Quickly stir in baking soda mixture until light and foamy. Pour half of the candy mixture onto each cookie sheet and quickly spread about 1/4 inch thick with buttered spatula. Cool completely, at least 1 hour. Break into pieces. Store in air tight container. 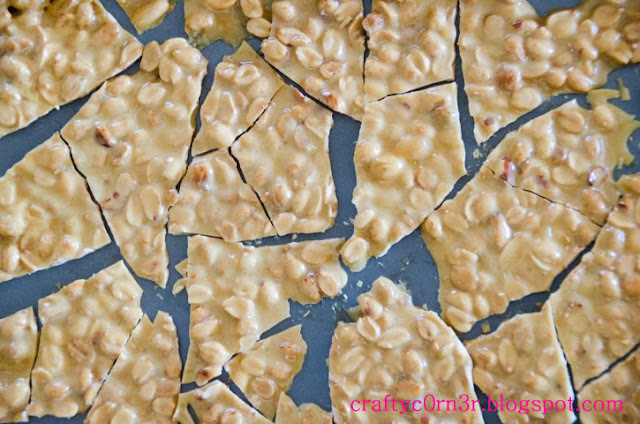 If you love this recipe, you might want to try my cashew coconut brittle recipe here. I love it even more than peanut brittle. Okay, its bad, but I'm off to nab another piece. Nintendo 3ds XL for $140 or less!